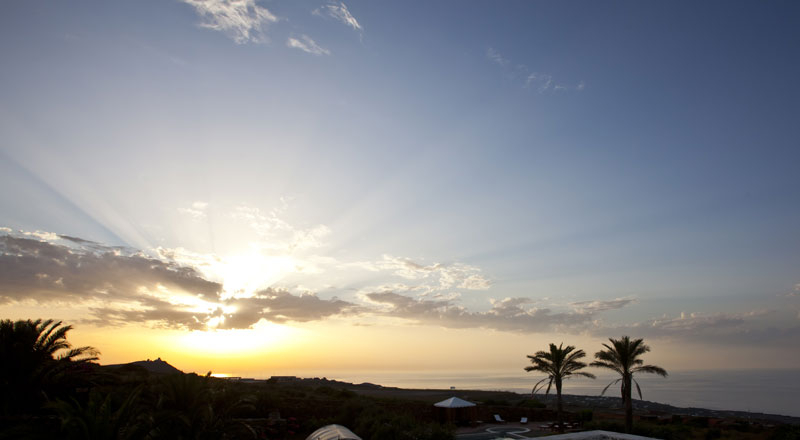 The magic begins at once. 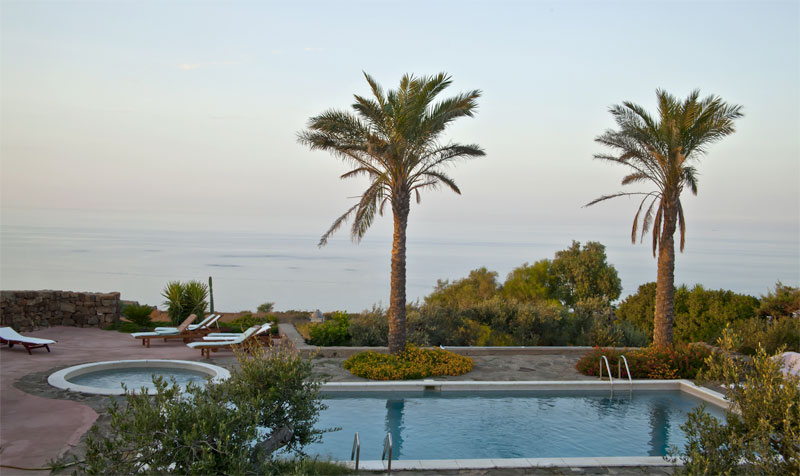 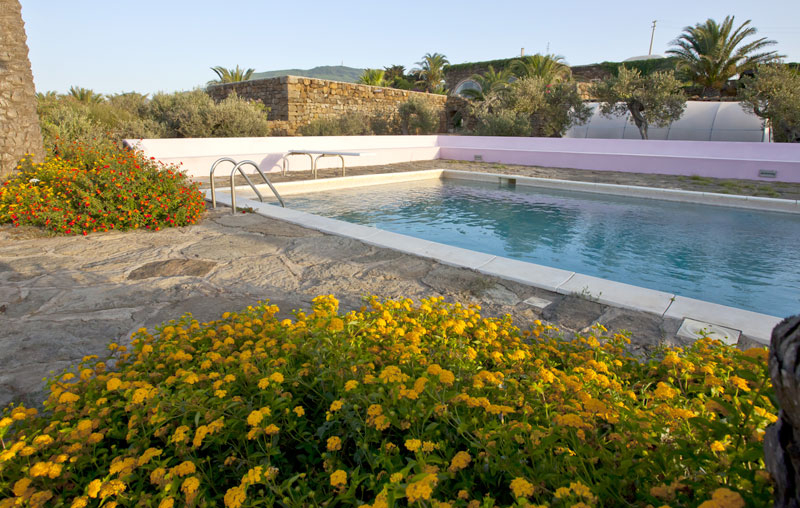 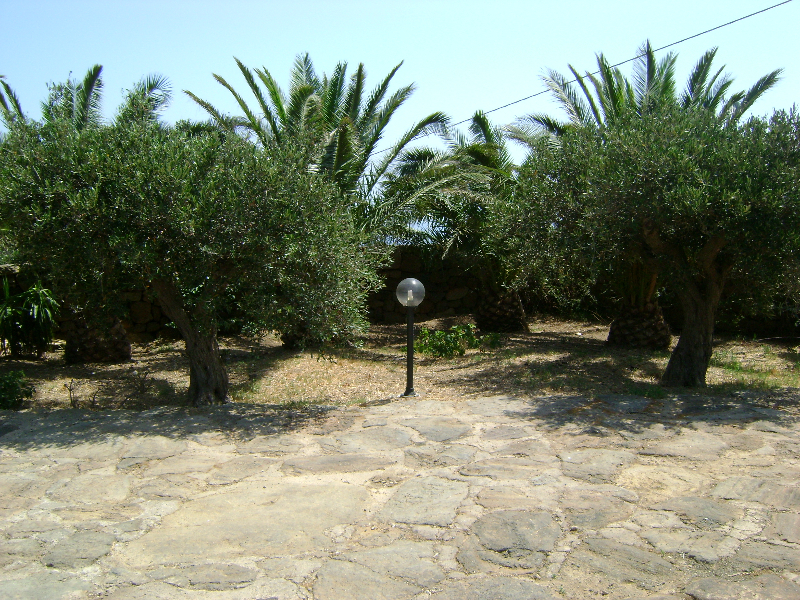 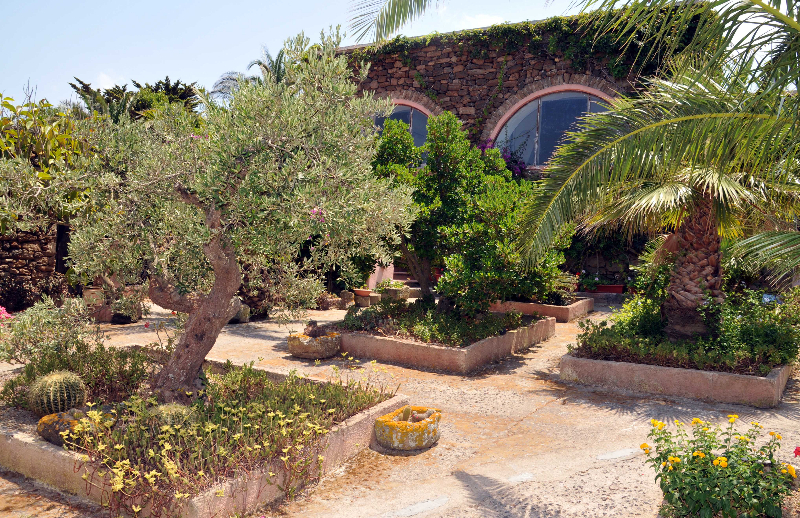 Zinedi Farm, the only one authorized on the island, is 5 km from Pantelleria town and 800 metres from the coast. 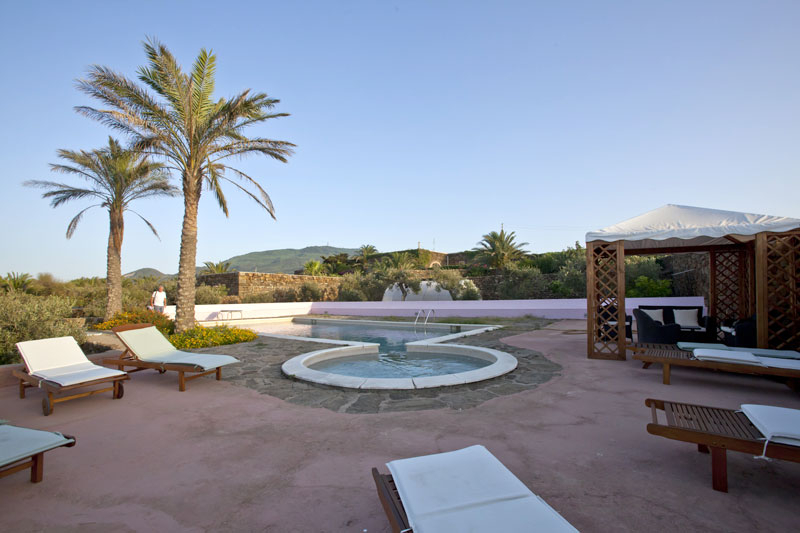 It is a different choice from the usual bedrooms of a hotel . 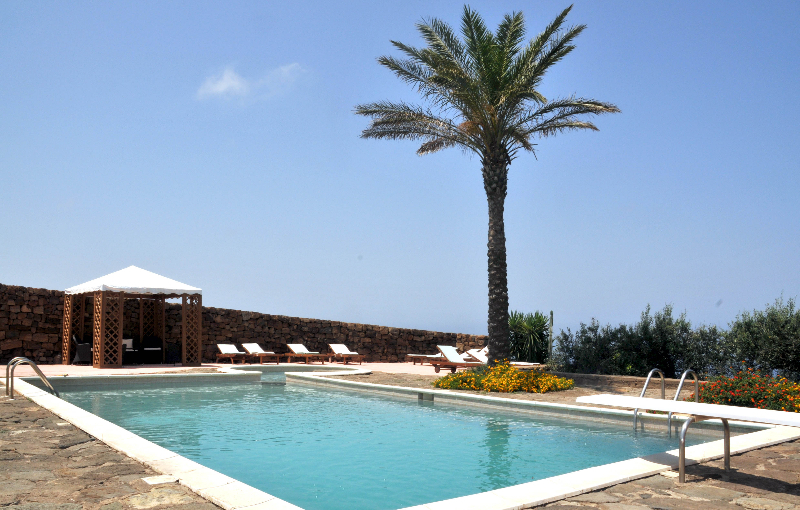 It is the right place to discover the authentic soul of Pantelleria. 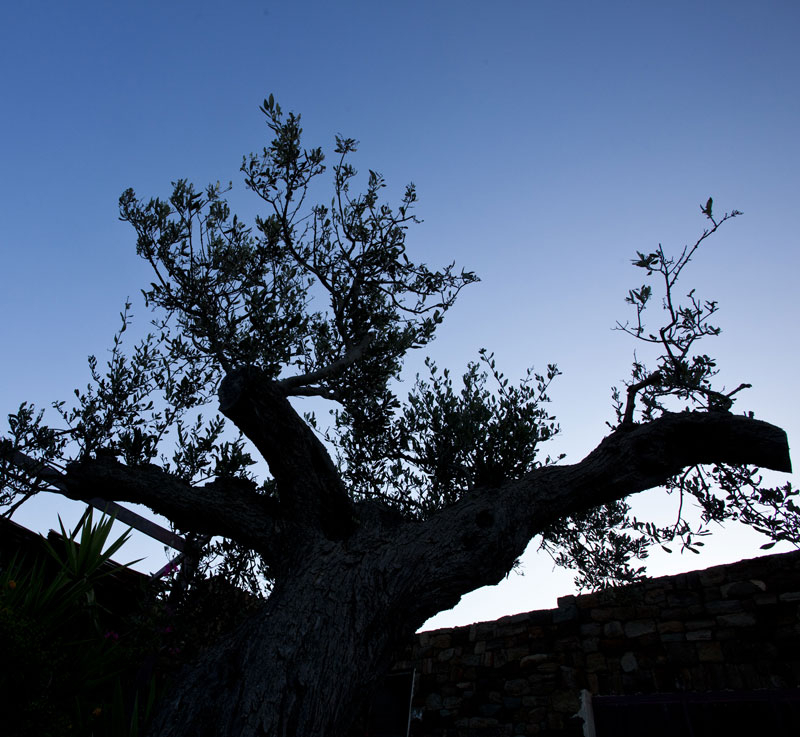 It is located in the middle of the greenery of the Mediterranean shrubs, bushes of rosemary, heather and the tint of yellow of wild broom and offers a spectacular view of the mythical lake Specchio di Venere. 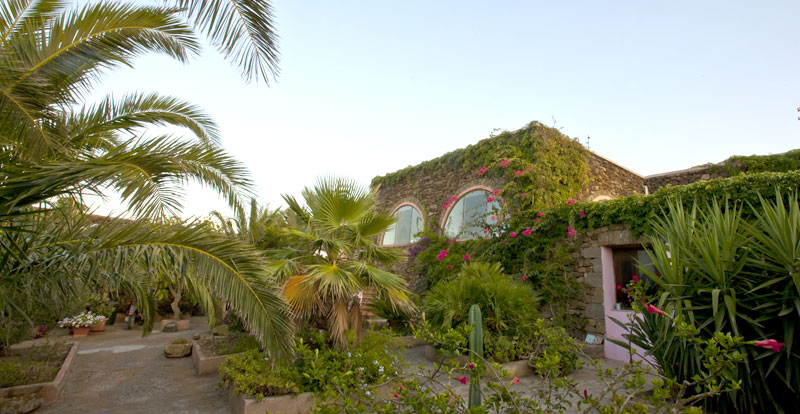 The Zinedi Farm is perfectly integrated into the island's ecosystem. 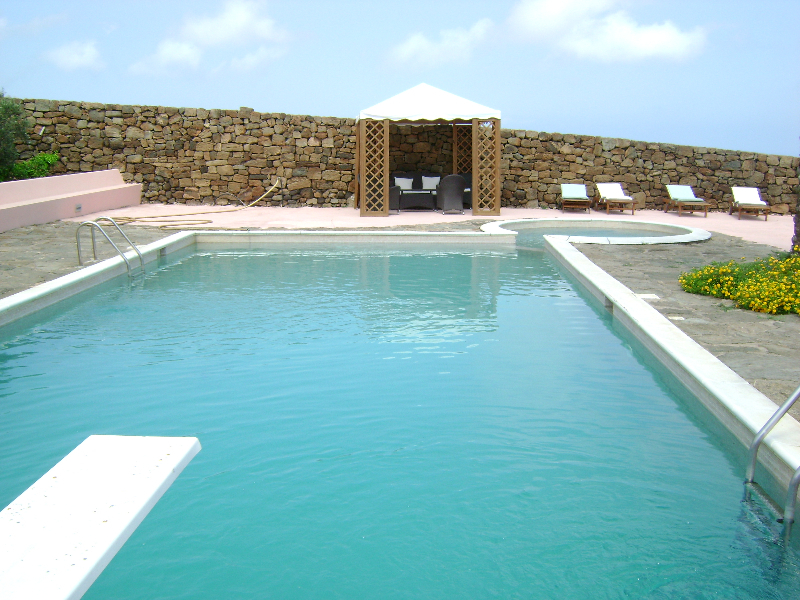 It has been built according to Pantesco architecture with lava stone walls and surrounded by hand built stone walls, it provides a splendid swimming pool with Jacuzzi surrounded by a Mediterranean garden. 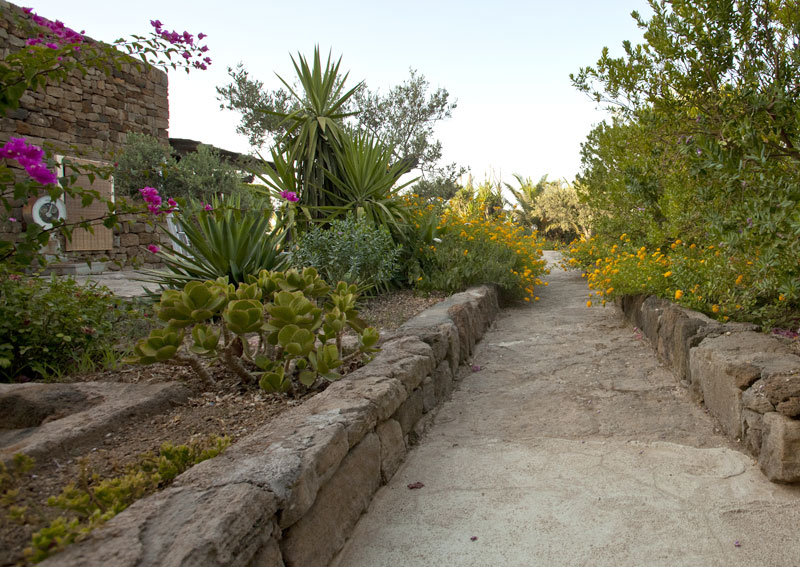 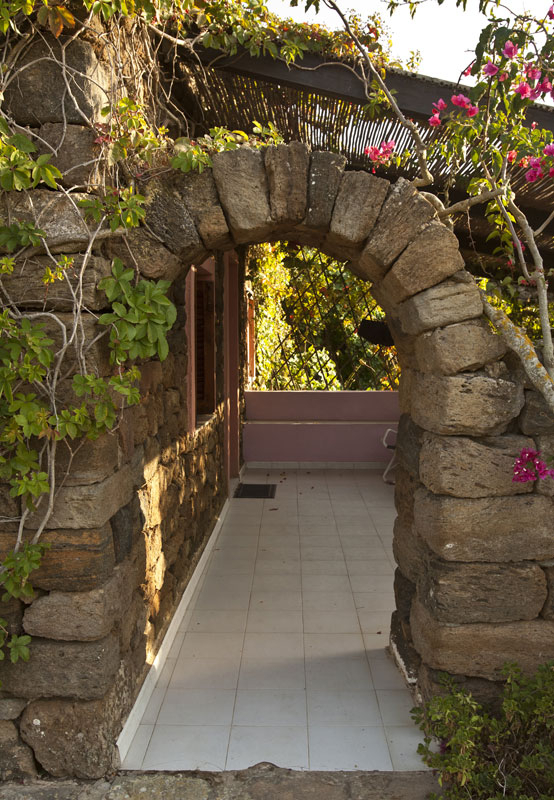 The gardens have stone paved pathways, charming archways and stone walls around it to protect the ornamental plants: bouganville, hibiscus, oleanders and geraniums which all colourfully sprout out of the lava ground. 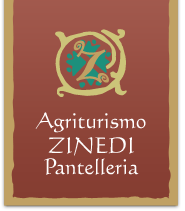 At Zinedi Farm it is possible to taste and buy its own produce: delicious jams, typical sauces, capers, oil and wine that are also the principal ingredients of the restaurants dishes. 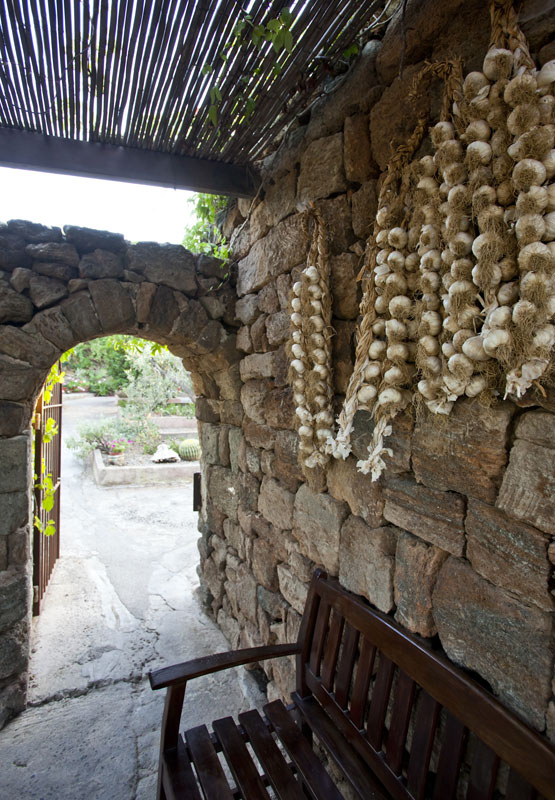 The Zinedi Farm is a good starting point for naturalistic hikes, horse-rides or deep sea fishing with Aldo Valenza.